Well, I was off the grid until my brother called, and once again Stan Bowman has made a bargain bin, could be more effective than we think or could be nothing move to bolster his team. 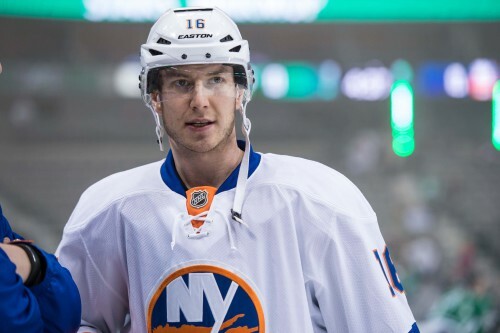 It’s funny, when I hear trade with the Islanders I immediately think it’s Frans Nielsen because the Hawks have been rumored to have gone after him multiple times. But he’s pretty entrenched on the Island now, so I guess that won’t ever happen. What they did get was Peter Regin and Pierre-Marc Bouchard for a 4th round pick. The Islanders are picking up half the tab money-wise as well, which leads me to believe that Stan Bowman puts GMs under some kind of hypnosis when it comes time to talk about money. Bouchard has already been assigned to Rockford, along with Brandon Pirri (who can probably watch his Hawks career fading into the distance at this point). We mentioned Bouchard earlier in the year when he was on waivers. He’s had his concussion problems and isn’t exactly a heavy. But he’s been a possession-driver on the Isles this year when he was there and not Bridgeport. Before his injury problems this is a guy who has had four 45+ point seasons, and the one with 38 in just 59 games. They’re a couple years in the rearview obviously, but he’s still just 29 and there might be some gas left in the tank. Though I’m curious if he ever gets out of Rockford, really. Regin is the more interesting pick up. He’s an actual center, but a bottom six one. He’s been playing something of a checking role for the Isles, though he’s helpless at the dot. Wonder if we don’t see him centering Smith and Bollig/Bouchard with Smith taking the draws, and slotting Kruger either to the 2nd or 3rd line. 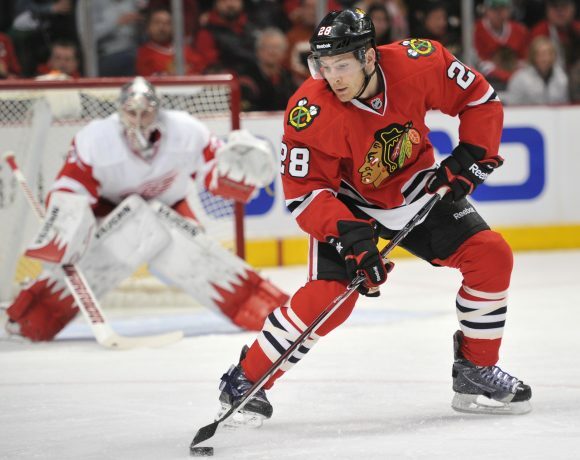 Regin is also a bigger body at 6-2, and size in the middle is not something the Hawks have a lot of. And some of that size (Handzus) can’t move. Regin can certainly do that. Both of these guys have been getting drilled in PDO because the Isles’ goaltending has been utter horse manure. So some of their numbers are a little skewed I guess. Neither is signed beyond this year so this is something of a flier. Doesn’t really cost you anything to give them a look and if they don’t work you’re back to the team you had anyway. We’ll be back with more later.